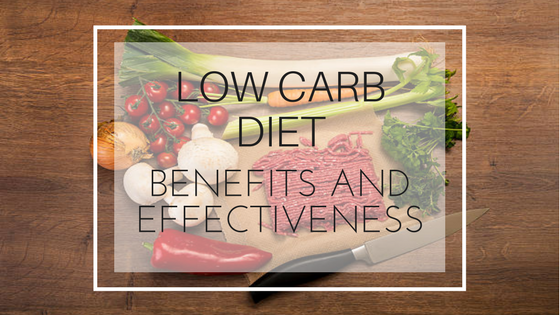 The low carb diet is a dietary habit designed to help weight loss by lowering the consumption of carbohydrates. Low carb diet limits the consumption of foods containing high carbohydrates such as cereals, starchy vegetables, and fruits. It emphasizes eating food with more protein and fat. It’s basically about eating fresh and unprocessed low carbohydrate foods. The low carb diet is considered suitable for losing weight quickly, optimizing health and reducing the risk of disease. There are several types of low carb diets with varying limitations for the type and amounts of carbohydrates. Carbohydrates are used by our body as the most important source of energy for the function of our brain, heart and many other organs. During digestion, sugar and starch are broken down into simple sugars and absorbed into the blood in the form of blood sugar or glucose. The thought behind low carb diet is that by restricting carbohydrates drastically. It causes the body to enter another metabolic state called ketosis, where it burns fat to provide energy. Reduction of carbohydrates results in lower insulin levels as the person gets energy from ketones. This makes you feel less hungry because instead of burning carbohydrates, your body will burn fat. Because carbohydrates are removed from your diet, the body uses stored carbohydrates for fuel, not only burning them but also releasing fluid around those that give extra inches to your middle, hips, and thighs. In addition, in a typical low carb diet, carbohydrates are replaced with protein that is the ultimate fat burning food. Protein-based foods increase metabolism by 25 percent, thereby increasing the levels of fat-burning hormone maximizing calories lost. This combination of low carb and high protein content leads to rapid weight loss. Advantages of decreasing Carb intake. The main purpose of low carb diet is the treatment of obesity leading to weight loss. However, some diets have other benefits such as reducing the risk of heart disease, some cancers, diabetes and metabolic syndrome. Some people think that low carb diet effectively results in rapid weight loss. But it is by no means a good option for permanent weight loss. Theories governing these diets are not yet proven and experts have found that they can cause a variety of problems. A low carb diet is not a balanced diet and therefore lacks important vitamins and nutrients. It allows a very small amount of fruits and vegetables that are a source of important vitamins and nutrients.